The story of 'The Bay' as we know it has been passed down by word of mouth or from grainy photos left by the previous generations. But it is a fascinating history and to date six generations, beginning in 1883 when Col. Frederick C. Denison first purchased Crown Land for a mere $50.00, have called The Bay their summer home. 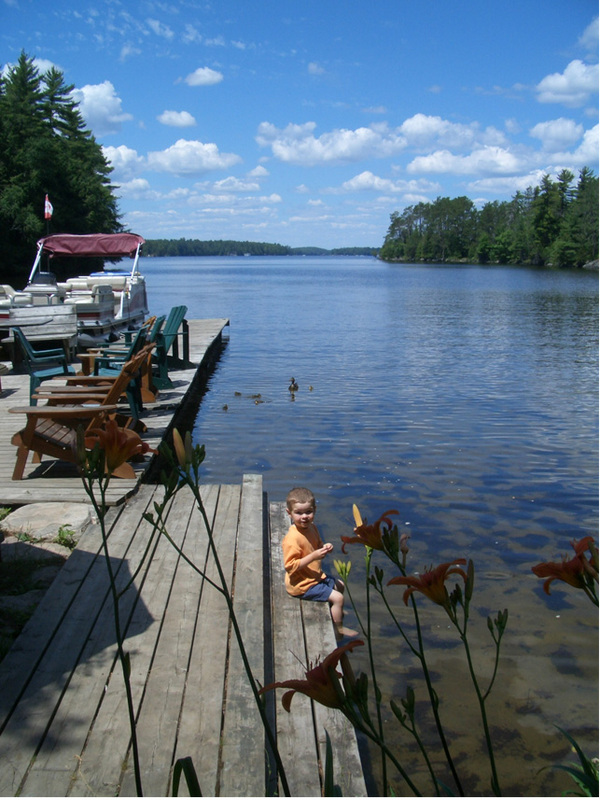 FCD was not the first in his family to purchase property on Lake Muskoka. He took his lead from his elder brother George Taylor Denison III, who bought and built a summer home on Heydon Island, naming it after his home in Toronto, Heydon Villa. In 1887 Fred added to his holdings by acquiring additional acreage on Beachgrove from T. E. Moberly. Fred spent the last eight years of his life enjoying Muskoka life with his wife Julia and their large family. 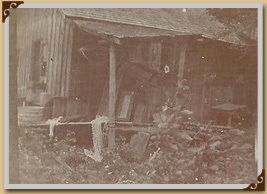 The earliest photos that we have show a ramshackled wooden structure that once was temporary housing for the loggers on the lake, as shown in the first photo, probably taken before 1894. 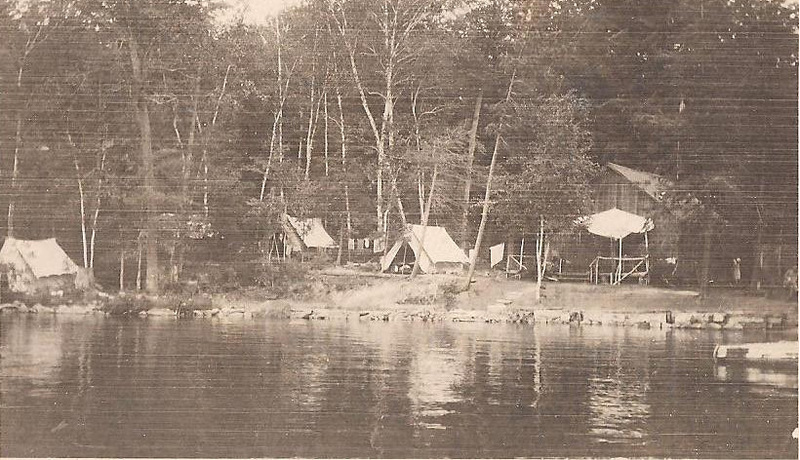 The second photo (dated 1894) shows a much improved cottage, dotted with tents, where the offspring of Fred slept. It also reveals the outhouse on the left, close to the waters edge, which was used until the early 1960’s. Life at The Bay was, as today, a carefree existence filled with swimming, fishing, boating, picnicking and just plain good fun. 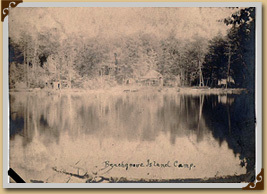 Sometime prior to 1912 the boathouse was added, later still the docks around the boathouse, which enabled the first "Beachgrove" launch to dock. In 1924 Harold Denison, and his younger brothers Gordon, and Egerton took on the arduous task of building the breakwater in front of the cottage to protect it from rising water. Grass was planted, which is still in evidence today. 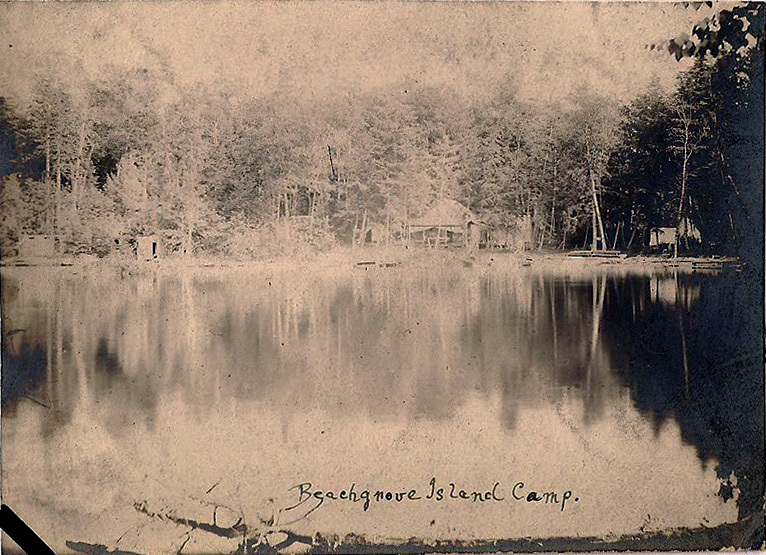 Julia and family continued to summer on Beachgrove until her death in 1943. (Uncle) Gordon Cyril inherited her property and made plans to build and eventually move into The Point, in 1946. This left the Bay to be shared by Dora’s children. The old boathouse was demolished and a new boathouse was erected during the 1960’s. Celebrating 200 years of life, the Old House has evolved from a humble shelter for woodsmen, to the long standing anchor of the Bay! 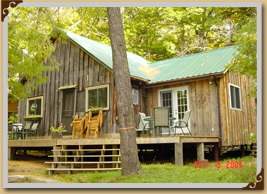 Over 2 centuries ago, logging was an important industry in the Muskokas. 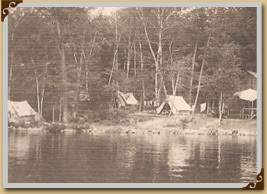 As Beechgrove was about halfway between Port Carling and Gravenhurst, a woodsman's hut was built to house men overnight, as they floated their logs south. The large open body of water between 'Fisherman's' and Browning Islands, was a giant log-boom. With its steeply pitched roof at an angle of 55 degrees (plus or minus) and full inch thick boards of rough pine cut from the trees on Beechgrove, it occupies the centre view. Its outer shell remains remarkably unchanged, except for the addition of a few 'windows of glass'. The original windows, some remaining, were simply holes with sliding wood battens. No two boards are the same width; some are over 20 inches in width! 125 years ago, when the Denison's adopted Beechgrove as a summer home, we believe the 'back kitchen', with 2 small bedrooms, was already in place, although 'lore' tells us it was an addition at some juncture. 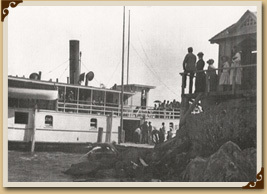 The Denison's traveled by train from Toronto to Gravenhurst and then boarded horse drawn wagons to Muskoka Bay (where the Segwun currently resides). It was the men and the servants who paddled the canoes to the Island. These modes of transportation were utilized until the 'steamers' plied Lake Muskoka. The historian, Tatley, made mention that Beechgrove was the only island stop made by the early steamers. 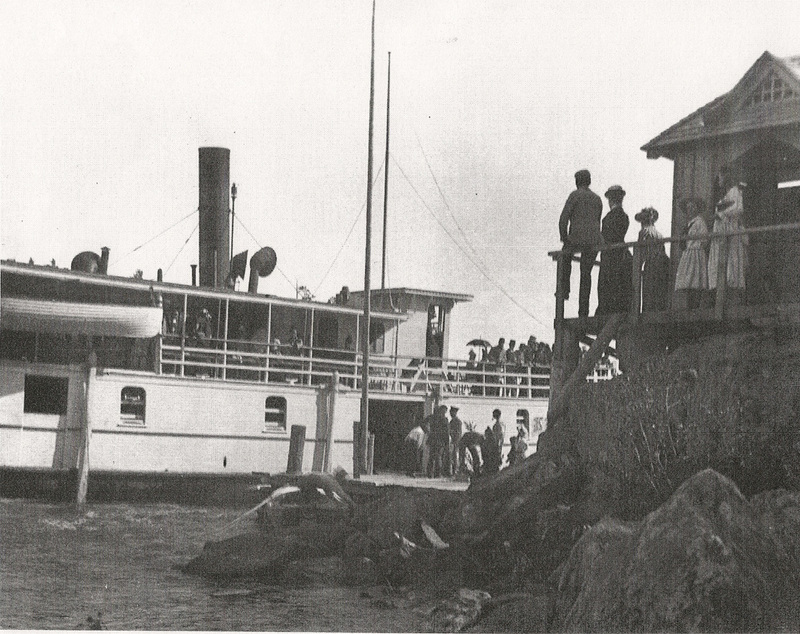 Cottagers from other islands would board the steamers at the 'Old Wharf', which was built to take advantage of the deep water in the channel between Heydon and Beechgrove Is. The centre path between the North bay and the Old Wharf has always been wider than most. It was created this way in the late 1800's, to accommodate large steamer trunks and ease the transport of these same trunks to the wharf. 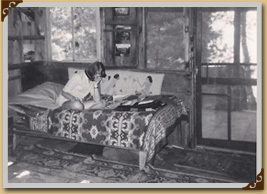 After Gordon & Dora Denison moved to the point in 1947, Dora’s children remained in the "old house' for 2 weeks apiece. Charlie, Katherine, Julia and Gordon Wright continued to share the Bay until Julia and husband Jim Fairley purchased (Skimpy/Empress Island) and Katherine and family moved to Fireband Island in the late 1950’s. 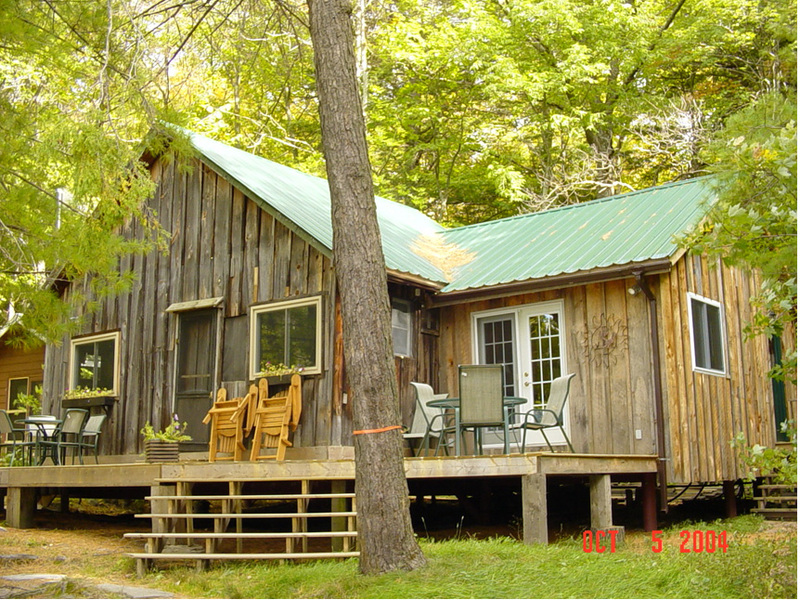 The "bunkhouse" was also built around the same time. It was built as a "dry boathouse" (that is why it has 2 doors on the front), for tax purposes. (taxes on a boathouse are less than on a dwelling). The partitions were made moveable/removable in case the tax man came calling. When Uncle Gordon died, his share of Beechgrove went to Charlie and Uncle Gordie. 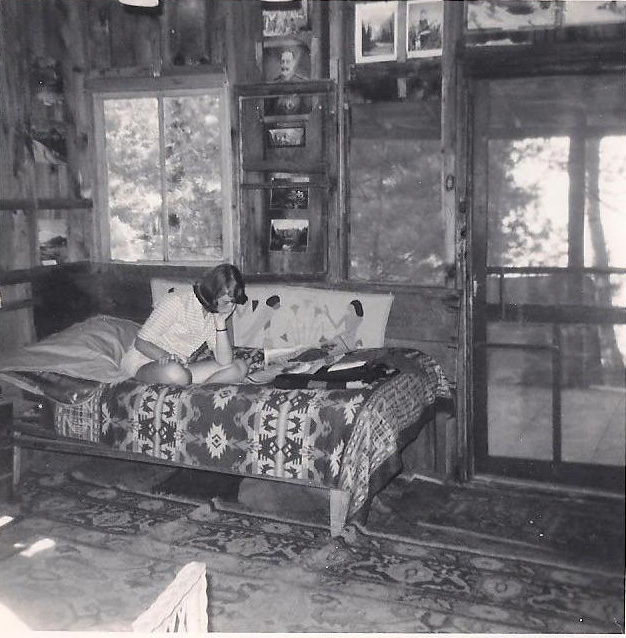 Charlie immediately built the cottage on the South Bay Point, completing it in the summer of 1977. He also died that same year, in November, not getting to truly enjoy the Old Wharf cottage. The old wharf building is unchanged from the day it was built. During the 1970's, the Old House was falling into disrepair, the steps were broken and its floor had holes. In the early 1980's, the wet ground/mud was threatening to swallow the structure and it started to lean!! In 1983, large hydraulic jacks were used to lift the house out of the mud. The structure was placed on rocks and logs and later on cement pads. A new floor of plywood was constructed, but as the house and floor shifted yearly with the heaving from ice and snow and mud, no permanent solution was in place. A small bathroom stall at the rear was added in 1984. 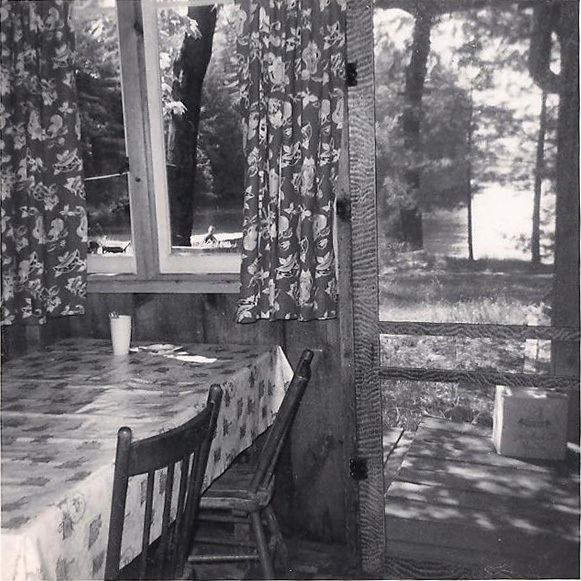 The sodden ground continued to plague the house and at the urging of Raymond Campbell, we employed Les Foley, builder of steel docks, to construct a steel structure for the Old House. The summer of 2003, along with Les Foley, a contractor used huge hydraulic jack to elevate the house 4+feet into the air, to facilitate the erection of a steel base. At the same time, the steel footprint was enlarged to accommodate additional structures to be built. Steel tubes, 9 inches in diameter, were driven into the Island bedrock, to a depth of 14 feet. A storeroom, bathroom, and bedroom were added at this time. The old porch, visible in early pictures, met its demise in 2 stages. The roof was the first to go in the 1970's. The deck lasted a little longer. The present day deck was added the summer of 2003. 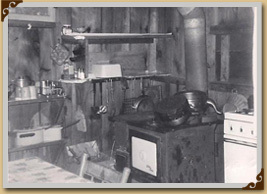 The Shack started its life as the back kitchen of the Old House. 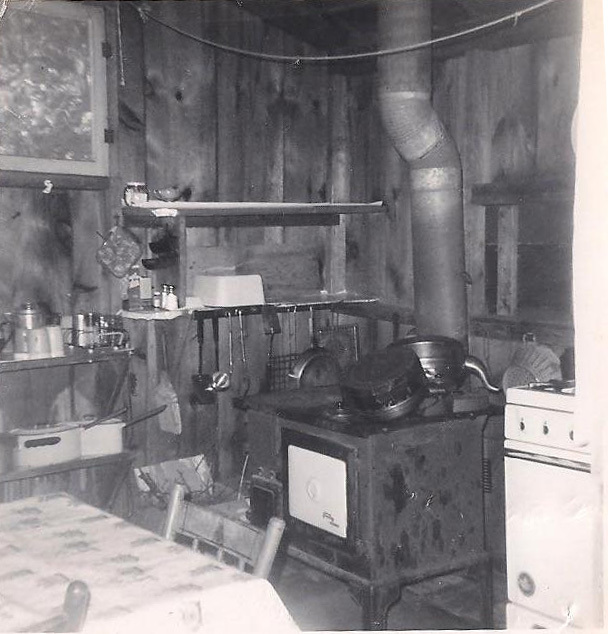 This 10 feet x 18 feet structure was made up of a kitchen, which housed a wood stove, and an icebox and had 2 tiny bedrooms on one side. In the early years (1920's), these bedrooms were the domain of the servants. Gordon Denison had this building moved to its present site in the late 1960's. The 2 tiny bedrooms became one to accommodate a family of five. The Feddery family occupied it from 1970 until moving to the Old House in 1983. 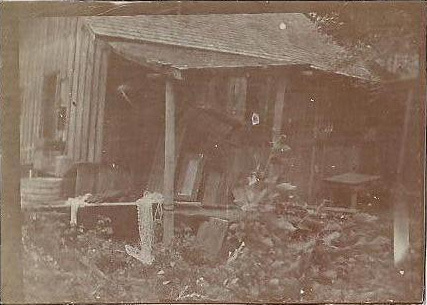 The Shack became a 'bunkhouse' to the Old House. Two additional bedrooms were added in late 1990’s. NB: Judy Cherrington’s side of the Beechgrove Island is passed down through the women, while the Wright’s side was passed down through the men. The current 'Wright' family members agree to disagree on the spelling of Beechgrove/Beachgrove. Multiple maps and documents support both spellings.